Fast-growing companies typically grow between 20-30% a year and doubling that every few years. However, some companies grow quite a bit faster than that. Today’s topic is Blitzscaling, where companies exceed their growth expectations ten- or twenty-fold! 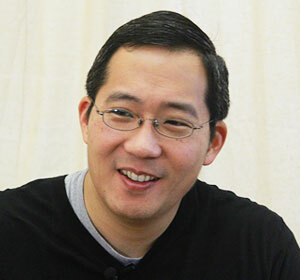 Chris Yeh is the Co-Founder and General Partner of Wasabi Ventures. Chris has worked in high-tech startups since 1995 and attend Stanford when he was just 15 years old. Chris is also the author of Blitzscaling, which Bill and Chris will be discussing in depth today. How do you define Blitzscaling exactly? It is the pursuit of rapid growth, where you prioritize speed over efficiency and environmental uncertainty. More and more industries and markets are winner-take-most or winner-take-all. The first to reach scale becomes the dominant player. For example, Facebook was not the first social network. Before it, there was Friendster and MySpace. However, Facebook was the first to scale and get its name out there. The perfect example of Blitzscaling is actually Google. When Google decided to partner with AOL, they made a commitment of $150 million dollars a year with them. This was a huge jump because the year before they had only done $19 million. Through their AOL partnerships, they became the dominant player in advertising today. Is Blitzscaling just all about getting big fast? No, it’s not! It is a systematic way to understand and take intelligent risks. Blitzscaling has four growth factors and two growth limiters. It first starts with market size, distribution, gross margins, and network effect. The two growth limiters are lack of product market fit and operational scalability. For example, Groupon by all measures should have been successful, but what stopped them dead in their tracks was lack of product market fit. They offered a poor customer experience for both the vendors and the buyers as they grew. They had rocket-like growth in the beginning, but it ended up crashing due to their inability to cater to their core customers.